Whether you and your partner like star-gazing on the beach or some adventurous activities in some rocky terrain, following are some of the most romantic retreats that you need to visit with a loved one by your side. 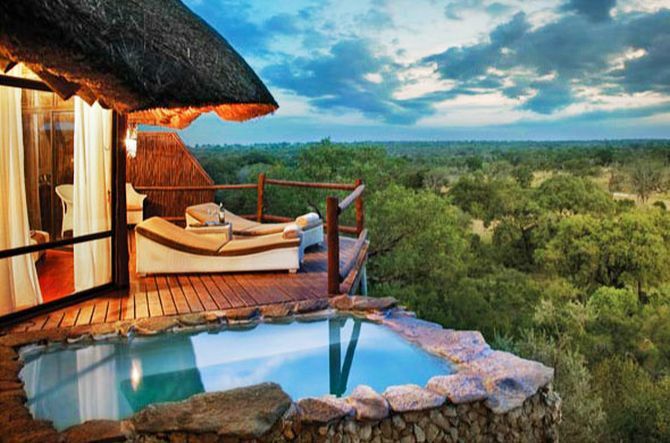 These wonderful getaways are likely to give you a memorable experience that you’ll remember all your life. 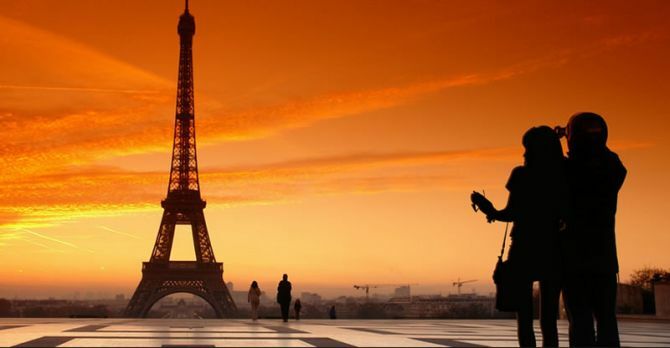 Paris is the most romantic city in the world, so nothing could be better than a trip to Paris on Valentine’s Day. Spend a day with your sweetheart at Eiffel Tower, overlooking city monuments and skylines. To make it more special, a bottle of red wine would surely be enough. Isn’t it? Like ocean views and tropical surroundings? If yes, then you must visit the Tree House Villa at Villingili Resort and Spa in Maldives. The ultra private villa is just perfect for a romantic stay. 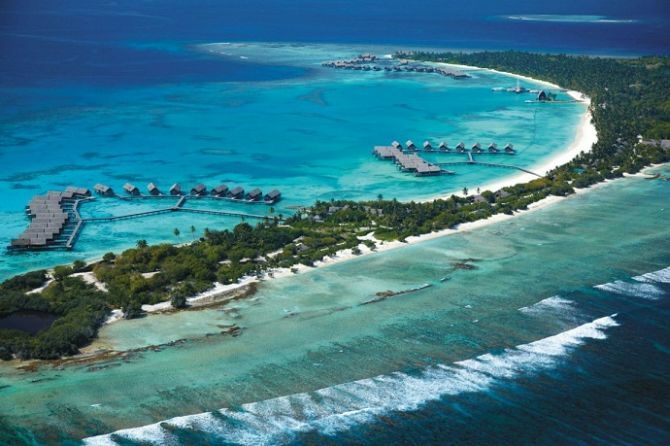 Activities like snorkeling, side-by-side spa treatments, scuba diving, beach frisbee, etc. are offered to the visitors. So, you can enjoy these fun activities while spending some quality time together. 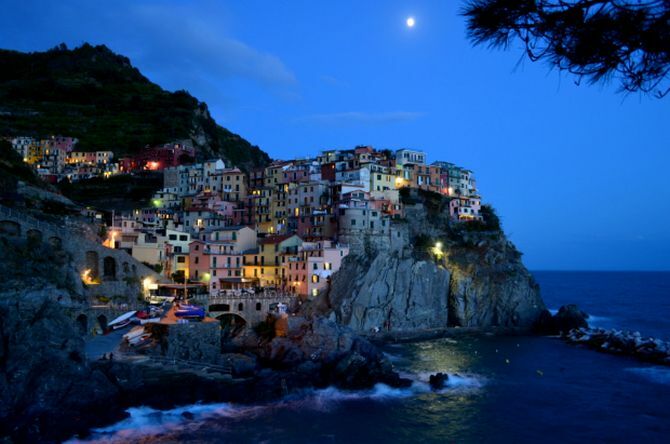 Located on the eastern shore of the Ligurian Sea, Italy’s one of the most enchanting venues is Cinque Terre. It comprises of five villages etched into the salt-stained cliffs and these villages are connected by coastline paths. The pathway between Riomaggiore and Manarola is dubbed Via Dell’Amore. Aptly named as The Lover’s Walk, the beautiful place offers mesmerizing sights of the seascape, hence considered as one of the romantic destinations in the world. 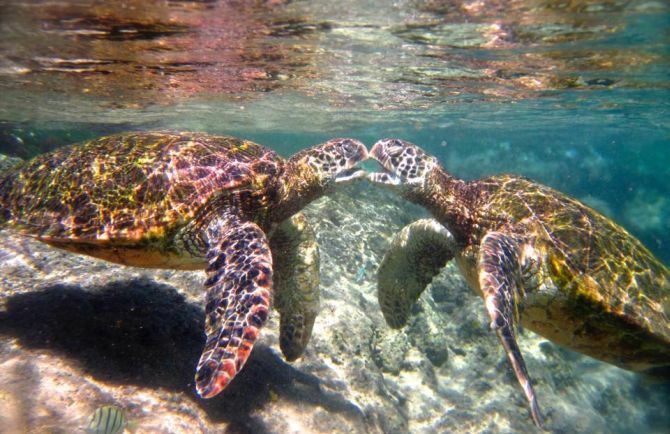 Another romantic haven for couples is Turtle Bay Resort, which is situated on Oahu’s north shore in Hawaii. This beautiful spot on earth attracts hundreds of honeymooners every year, all because of the island’s magnificent beaches. 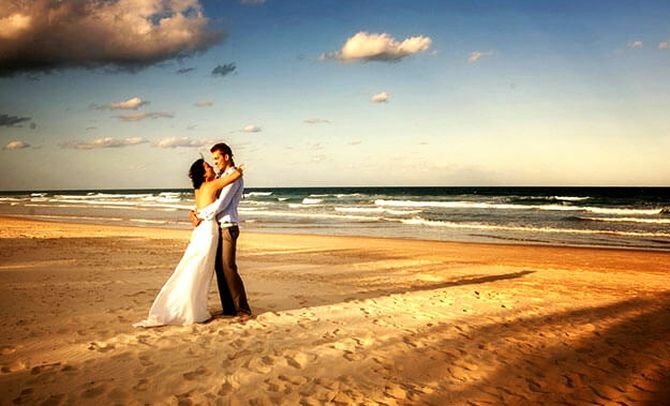 So, make the special day on February more dreamy at this exotic destination. For those who prefer mountains to the beach, a cozy cabin getaway in the Blue Ridge Mountains is indeed perfect. Look for a rental with romantic amenities like fireplace or hot tub. The breathtaking views of the surroundings area are definitely going to melt your heart. Plus, adventure lovers can also enjoy trekking, hiking and other fun activities in this region. 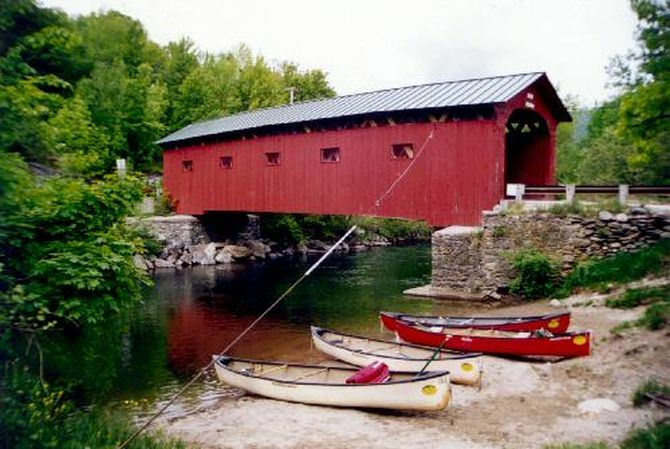 Covered bridges of Vermont were also known as ‘kissing bridges’ back in the days of horse-and-buggy courtship. This is because the covered bridges offered lovers a coveted moment of romantic privacy. There are more than 100 covered bridges in Vermont, adding unique charm to the scenic drives. Due to these romantic spots, this destination becomes perfect for a bed-and-breakfast getaway. Vietnam is a must visit destination for lovers. Ha Long Bay in Vietnam consists of more than 1,600 islands bathing in panoramic beauty. To closely witness the islands’ limestone pillars, caves, and arches, you must book an overnight cruise. This gorgeous place is an ideal getaway to celebrate the most romantic day of the year. 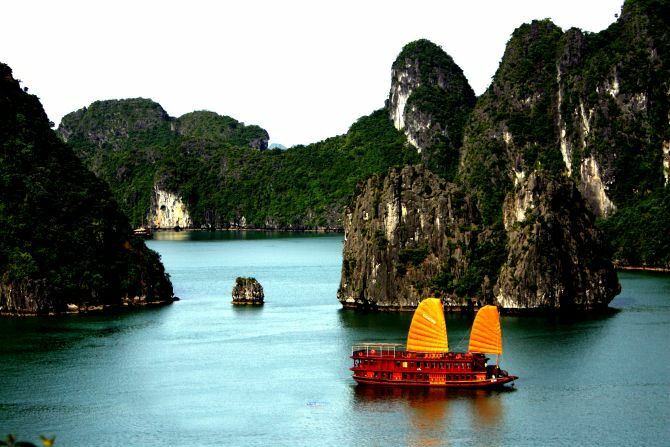 For a delicious meal, do visit Ha Long Bay cave- it’s an interesting place to spend a memorable day with your partner. 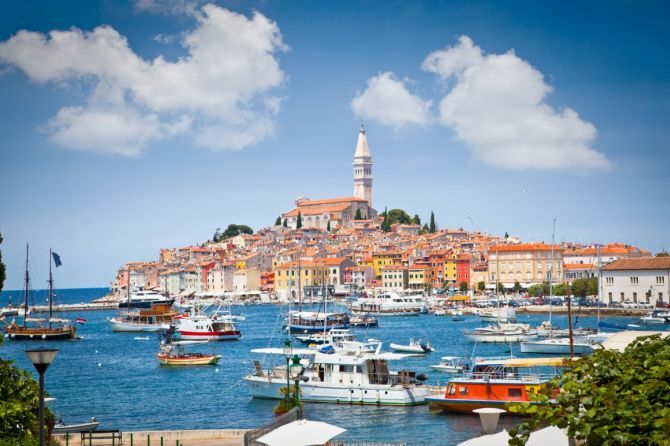 Istrian landscape embracing rolling hills and valleys, hilltop villages, along with various wheat fields, vineyards, and olive groves is known as ‘Croatian Tuscany.’ For a couple, snowcapped alpine mountains of this region are surely going to be a wonderful location to spend few days, away from rest of the world. Entire scenery of the region can be enjoyed by taking a hot-air balloon ride. Wildlife enthusiasts can spend a fun time this Valentine’s Day by wildlife viewing and a wonderful safari experience. For some it may not be an ideal romantic setup to spend a day with wild animals. But couples who love animals and are looking forward to do something unusual on February 14th, this is certainly the best spot. 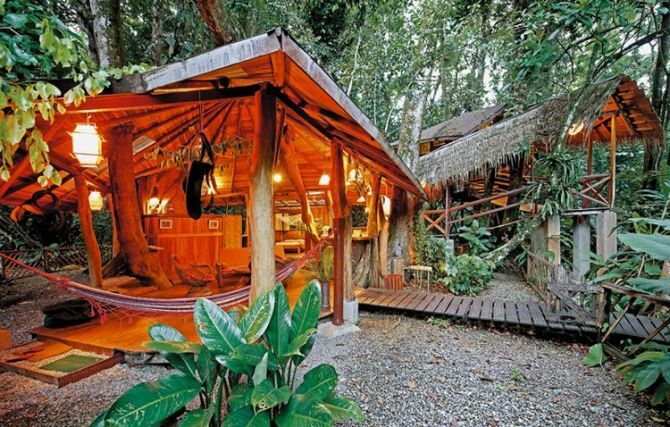 Tree House Lodge is a beachfront property that’s made out of nothing but fallen trees from the jungles of Costa Rica. It consists of two bedrooms, a kitchen and a shower. The rooms are solar heated to maintain sustainability, plus the lodge also don’t have any negative impact of nature. It is a must visit spot for couples who want to spend some time together, while relaxing in a forest.